Professor Erkki Pohjola (b. 1931) is one of the leading personalities of Finnish music education, a groundbreaking choral conductor and a pioneering figure in the international children's and youth choir movement. Outside of Finland, Erkki Pohjola is best known as the conductor of the Tapiola Choir, which developed under his charge from an ordinary secondary school choir into one of the most highly extolled vocal instruments of our time. Pohjola founded the choir in 1963 and led it, alongside his many other commitments, for more than thirty years. The work of the choir became famous all over the world, and prompted the international choral community to speak glowingly of the 'Tapiola Sound'. Pohjola's book 'Tapiola Sound' was published in Finland 1992 and has subsequently appeared in English and Japanese translations. At the same time Erkki Pohjola fostered the development of a new idea of music education: after meeting Zoltán Kodály and Carl Orff in 1964, he developed from their and his own ideas a liberal approach to teaching, with his leaning towards chamber music principles and taking as its starting point the natural creativity and musicality of the child. 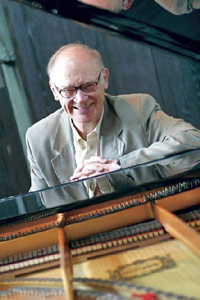 Erkki Pohjola is also known as the father of Finland's most widely-used school music textbook series 'Musica' (Edition Fazer) and the artistic director of three major music festivals in Finland. He was made an Honorary Professor by decree of the President of Finland in 1984, and the Honorary Doctor of Sibelius Academy in 1997. Since handing over the Tapiola Choir in 1994 to his successor Kari Ala-Pöllänen, Erkki Pohjola continues to maintain an active international schedule as a much sought-after guest conductor, lecturer and abjudicator. He was from 1992-1996 a member of the Board of Directors of ISME, the International Society for Music Education. He has developed a project called Songbridge, the world-wide cooperation with children's and youth choirs and contemporary composers.